Leftover chili is perfect for lunch the next day! Last week a client mentioned she was trying to make a healthier version of chili. Then this morning a good friend asked for my White Chili Recipe. And last night I made chili in the slow cooker and my husband said, “Yah, this is pretty good!” So all signs point to warm delicious chili! My White Turkey Chili uses turkey breast, white beans and green chilis. It is always a favorite, and friends and family frequently ask for the recipe. 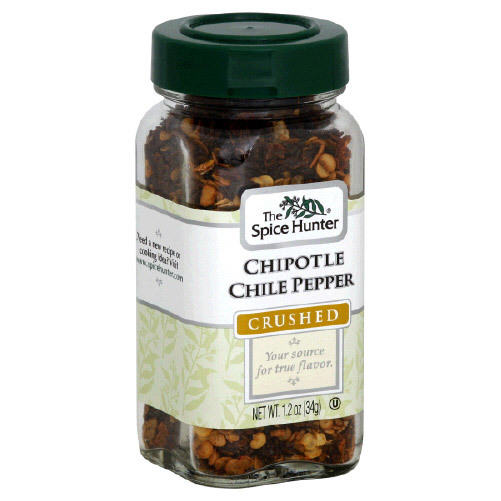 The Chipolte Chili that we had last night was made pretty much on a whim. I threw it in the Crock Pot in about 5 minutes yesterday morning and viola! Delicious and ridiculously easy to make from staple pantry items. Chop onion and mince garlic. I use pre-minced garlic that is stored in the refrigerator for occasions like this. It’s a super fast way to add a punch of flavor. Place onion, garlic, cumin, oregano, chili, black beans, pinto beans and diced tomatoes in the Crock Pot (or large saucepan). Don’t drain the beans. Measure 1 cup broth in a 2 cup measuring cup. Whisk 2 tablespoons flour into the broth. Pour broth into the Crockpot. Mix it all up. Cook on low heat for 6 hours. If cooking on the stove, bring chili to a boil and then reduce heat and simmer for 30 minutes. I added some leftover shredded chicken and 2 gluten-free nitrate-free chicken sausages to the chili after it was done cooking. If I didn’t have these precooked options, I could have added diced chicken before cooking. 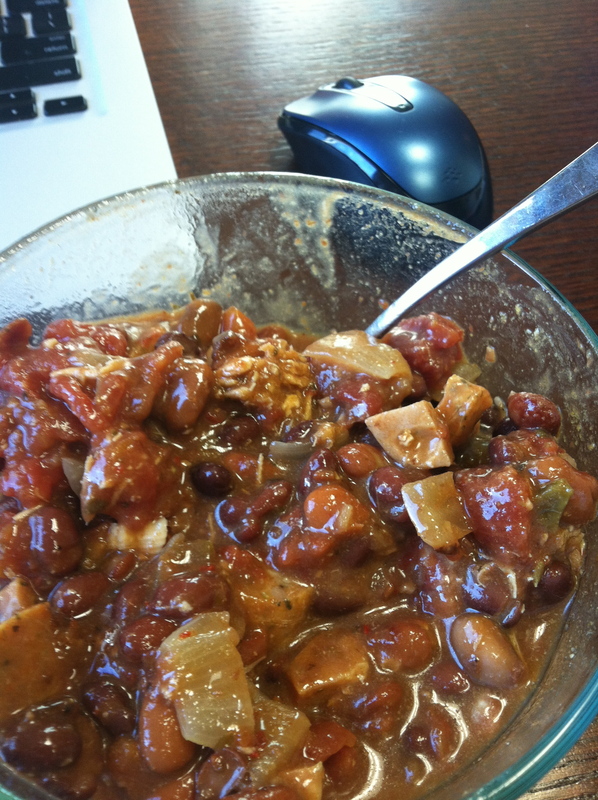 Add any type of protein you like-grass-fed ground beef, chicken, turkey, tempeh or keep it a bean chili.